How Bookipi uses Stripe and PayPal to get you paid faster. Setting up a Bookipi account is as easy as 1-2-3 and takes less than two minutes. 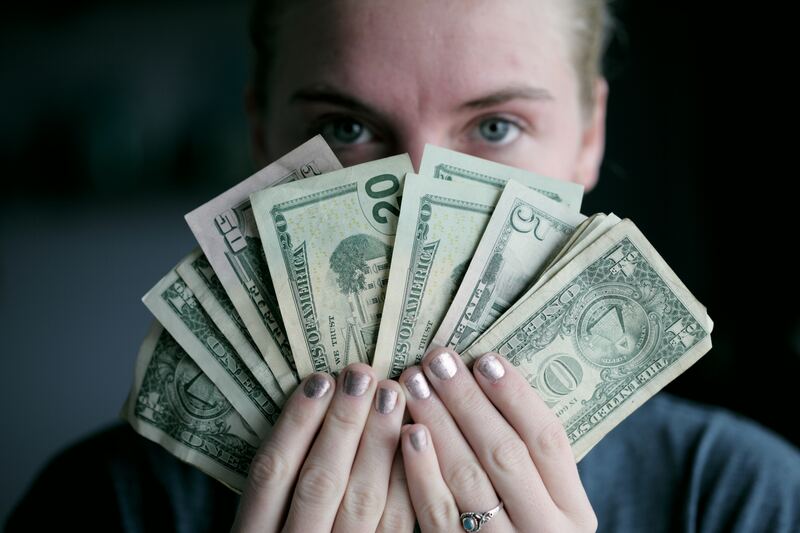 Seriously, it takes no time at all to establish a Bookipi account (even if you type slow – tested this theory myself by challenging a small business owner and it only took him one minute and thirty-six seconds). Once your account is all set up, you have two payment receiving options before you can begin to invoice – Credit Cards or PayPal. If you choose to accept payments via PayPal, select that option and proceed with invoicing and payment receiving. 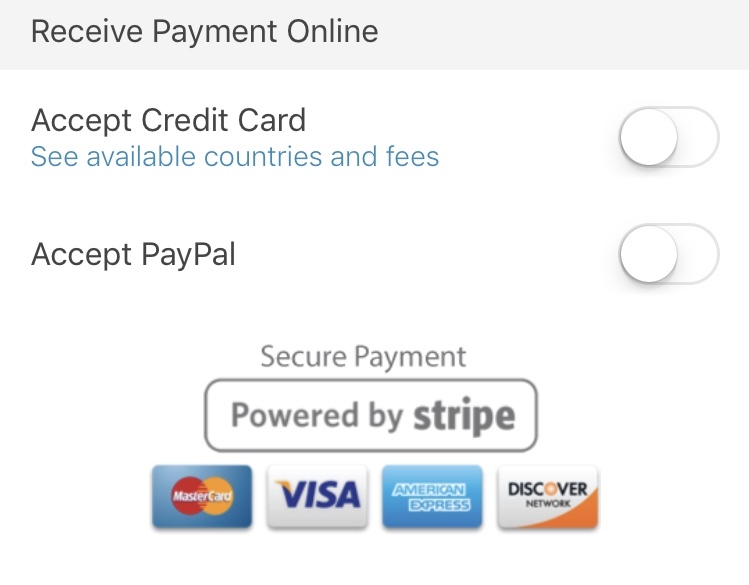 If you choose to accept payments through credit cards, or both PayPal and credit cards, you will need to establish a Stripe account. Before you begin to set up a Stripe account, ensure you have your bank account details (routing and account number) and web address (any web link related to your business – i.e. blog, Facebook, LinkedIn, Instagram, etc.). Once you have those ready, you are all set to quickly set up a Stripe account. This only takes about one to two minutes as well. Once your Stripe account is successfully set up, you can begin to invoice accepting payments from consumers using credit cards. 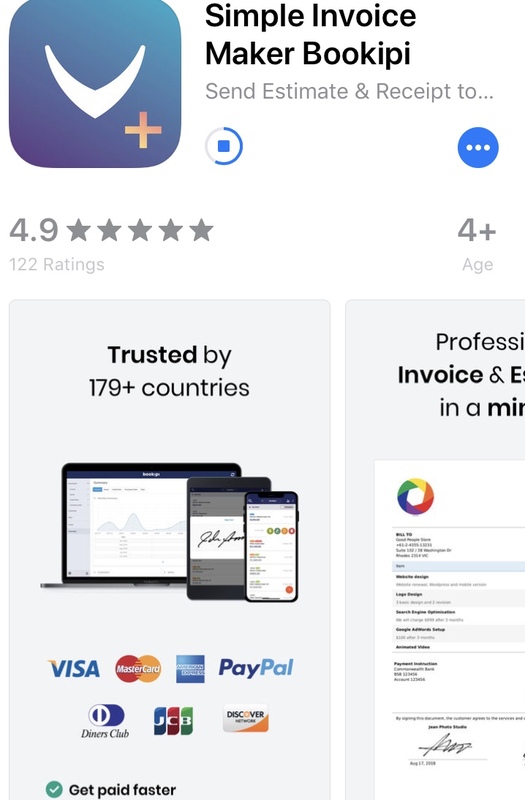 Just to quickly reiterate, you do not have to have a Stripe account to receive payments when invoicing using the Bookipi application; it is only if you want to add the option to accept credit payments. Are you always on the go and still have the ability to conduct business transactions? Do you provide scheduled services and/or are they sometimes “on the spot”? Do you want to save on the cost of a “card reader” or any additional payment accessories that connect to your mobile device? Do you want to provide and ensure a secure method of payment abilities to your clients and/or consumers? If the answer is “yes” to one or all of these, let me share some information that will make your business life simpler and more functional. Invest your time and save time by using Bookipi. 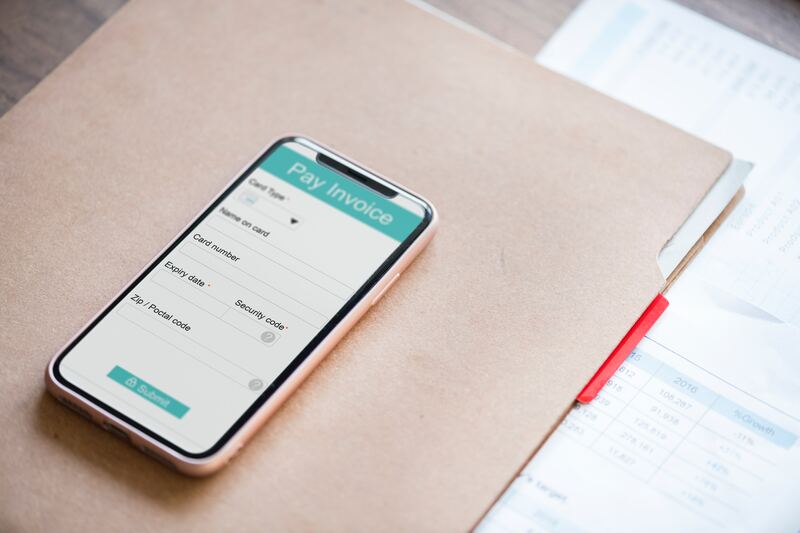 Bookipi’s immediate invoicing capability allows business owners to proactively provide consumers and clients invoices with just a few clicks. No matter where you are in the world, you can access the app and send invoices (especially if your business is strictly web-based (i.e. virtual tutoring or consulting). Whether your business is fast-paced or slow-paced, technology has a way of not always be friendly. There is nothing like sending an email, invoice, text, or any other means of communication and finding out it was undelivered. When it comes to money, there is no room in business for undelivered correspondence. Bookipi to the rescue!! When you send an invoice using the Bookipi, you immediately receive notification. You also receive notification when the invoice is read. This is certainly a safety-net for business owners since a “read receipt” indicates is the client or consumer’s confirmation of accepting the invoice. Last, acceptance of the invoice will also indicate a “due immediately” or “due on” date; which further lets the client or consumer know when they should pay and how they can pay. small waiting period between receiving the funds and funds being deposited. Bookipi, however, had the ability through Stripe and PayPal to give business owners immediate access to their funds. The interfacing from Bookipi to Stripe or PayPal is not only quick but secure. As I stated before, the developers of Bookipi had many things in mind when they were creating this application and its functionality. Timeliness of secure payments was another important functionality of the application. I am not aware of any business owners (especially the owner of a small business) that prefers to wait for five to ten business days for a payment to deposit into their checking or savings account. I don’t know about you, but if I could have my money immediately, I would certainly take that option. This is what is so accommodating when using Bookipi. Because interfacing takes place quickly via Stripe and PayPal, there is no “hold” on receiving payments. Money is transferred immediately to where you have it set up to go. I consider this a win-win on getting paid faster! One last scoop on Bookipi. It is FREE! No hidden fees or in-app purchases for additional options or application abilities. This amazing time saving invoicing application is of no costs to its users to download. Yeah, I know you are wondering how something so amazing (and great) can be free, right? Well, as the saying goes, “the best things in life are free” and so is this app. So what you are you waiting for? Join the hundreds of thousands of other small business users maximizing their potential and financial growth. Click here for more information: https://bookipi.com/university or click here to download now: https://bookipi.com/#download. Dr. Pamela Gurley is the founder and CEO of Clark and Hill Enterprise; Adjunct Professor for the Florida Institute of Technology’s MBA program; Co-founder and Host of Herspiration Happy Hour podcast; Freelance Business and Leadership Blog Writer; and Board Chair of Rohns Community Development (nonprofit). She holds a Bachelor of Arts in Psychology from Saint Leo University; a Master’s in Health Service Administration from Central Michigan University; and a Doctorate in Management with a concentration in Organizational Development and Change from Colorado Technical University.